Dr. Barnett has helped us with our third and fourth boys. When she helped us sleep train we went from being exhausted and overwhelmed to thoroughly enjoying our babies. I am now pregnant with number five and I will be calling her soon after we leave the hospital! Being a physician, I am very comfortable with the medical needs of newborns but it is the support Dr. Barnett provides that is the most valuable to me. It is very easy to second guess yourself when you are alone but knowing she will be calling to check in every day helped me stay on track. Welcome to Seven Oaks Sleep Science – a New York City infant sleep consultation service. New York City baby & toddler sleep specialist, Dr. Natalie Barnett, will tailor sleep solutions for your baby based upon your circumstances. She specializes in teaching healthy sleep habits to babies aged 3 months to 18 months. Dr. Barnett is a scientist with postgraduate training in pediatric sleep science. She brings a scientific yet gentle approach to sleep training and all of her methods are based upon published sleep research, contact an experienced NYC baby sleep specialist today. Please call us at 814-317-6257 for a free ten minute sleep assessment. Natalie is an experienced NYC sleep scientist who can determine the best package for your family so you can be on the way to getting all the sleep that you and your baby need! We offer several different packages depending upon your needs. Our preference is to meet with you in your home but we also offer phone consultations if that is preferable to you. 1. A 30 minute phone interview prior to the house-call. 2. A 2 hour in-home consultation to properly assess the baby's sleeping environment and provide all the sleep science information you will need to then implement the changes required to have your baby sleeping through the night and taking good naps during the day. 3. The package also includes four follow-up phone calls to ensure correct implementation and to support you through this process (approx. one hour of calls). 2. A 4 hour in-home consultation to properly assess the baby's sleeping environment, be there when the baby falls asleep at night and provide all the sleep science information you will need to then implement the changes required to have your baby sleeping through the night and taking good naps during the day. 3. Four follow-up phone calls to ensure correct implementation and to support you through this process (approx. one hour of calls). 1. A 30 minute phone interview prior to the consultation call. 2. A 2 hour phone consultation to assess the baby's sleeping environment (through photographs that you email to us) and provide all the sleep science information you will need to then implement the changes required to have your baby sleeping through the night and taking good naps during the day. We recommend a monthly follow up phone call for the first four months after the initial consultation. Your baby's sleep needs will change significantly over the first eighteen months of life and we want you to feel like you have a real sleep partner in us and that you can reach out to us at any time. Natalie Barnett, PhD, Grad. Cert. Sleep Sci. Natalie holds a PhD in Genetics from the University of New England in Australia and was previously Assistant Professor in the Neurogenetics Unit at NYU School of Medicine in New York City. 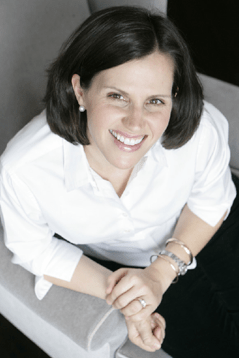 Natalie has a Postgraduate Certificate in Pediatric Sleep Science from the University of Western Australia and has worked as a pediatric sleep consultant for over 10 years. She is able to apply her scientific knowledge to everyday sleep problems and enjoys nothing more than giving families the gift of sleep. Natalie is a native of Australia and grew up in the outback on a wheat and sheep property called Seven Oaks. Natalie has seen in Australia how well new mothers are supported and the importance that is placed on infant sleep and its impact on family wellness. Natalie wanted to bring some of that support and sensibility to mothers in New York City. She lives in Manhattan with her husband and three sons and understands the demands and space limitations that are often placed upon New York City parents.